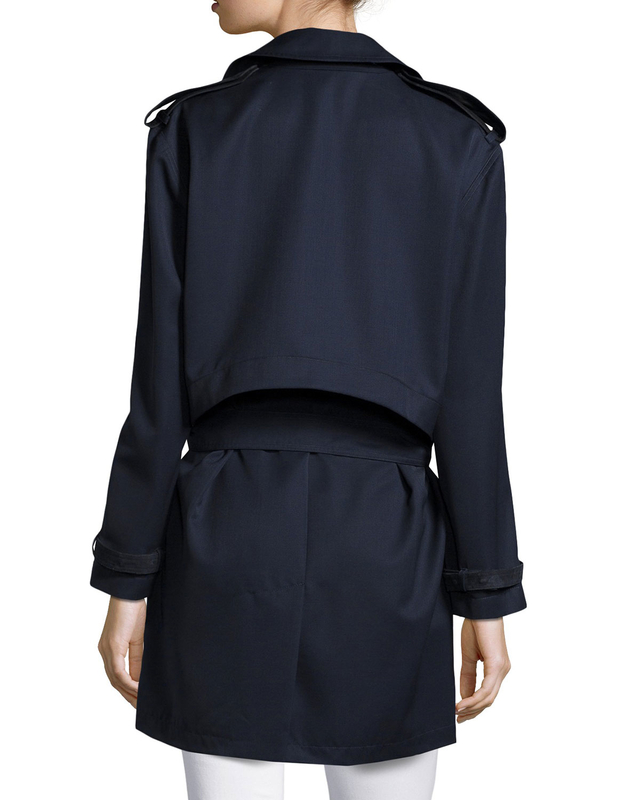 See more Blue Short coats. 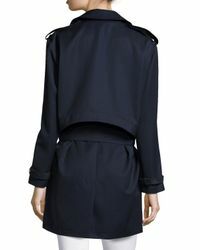 We check over 450 stores daily and we last saw this product for $334 at Neiman Marcus. 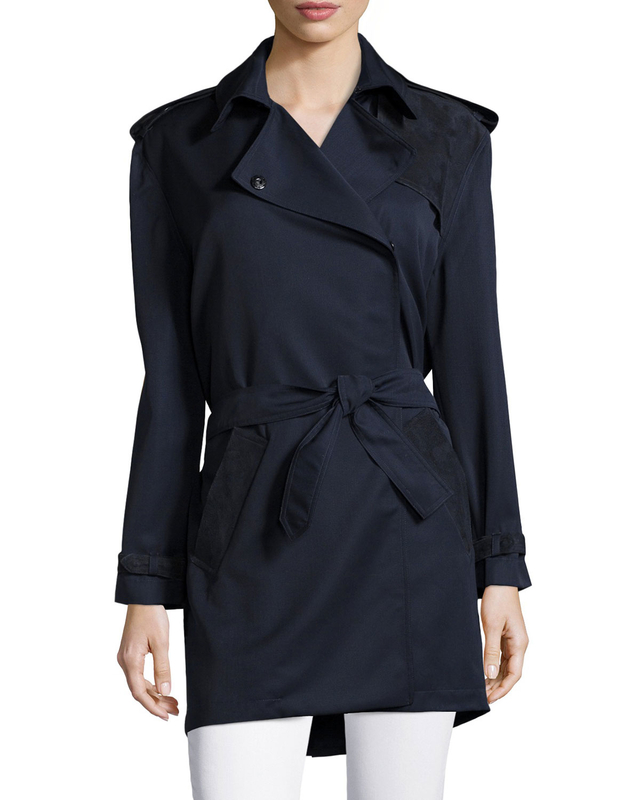 A timeless classic, this wool and suede-blend trench coat from Risto features a spread collar, shoulder epaulettes and slip pockets. Complete with a buckled belt that cinches the waist, wear yours with a knee-length skirt for a ladylike appeal or create a contrast and team with distressed denim and sneakers.